Hours of real learning from the basics to the more advanced, this book is suitable for all ages and abilities!! Fun for both parent and child alike!! Learn the marvelous patterns that the 7 times table makes!!! This wonderful manual covers the multi-sensory technique from teaching the one times table right through to turning the hands into a long multiplication calculator and much more.Three years of specialized teaching culminated into one wonderful resource! It also shows how quickly division and fractions can be taught in just minutes too. 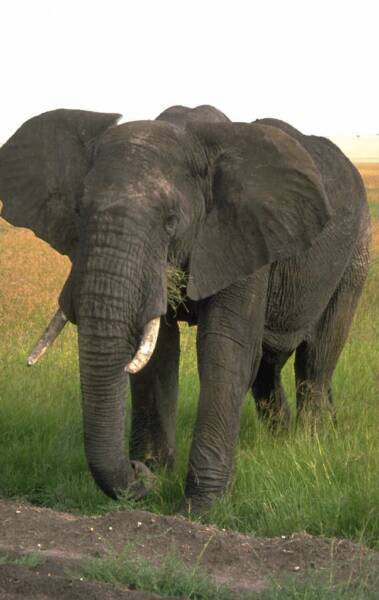 It starts off by telling why elephants have a very good memory, and how they use things in the jungle to learn their mathematics. 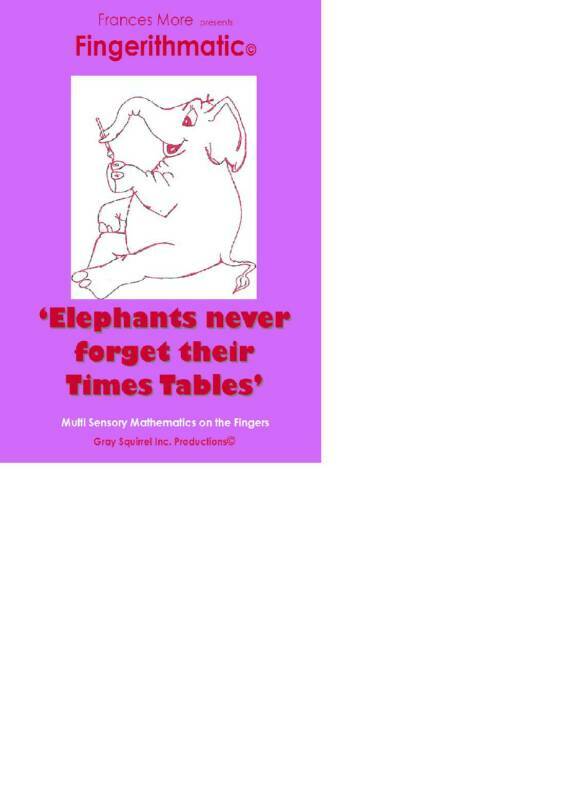 Fractions, percentages and decimals will never be a problem again when you learn them the Elephant way. 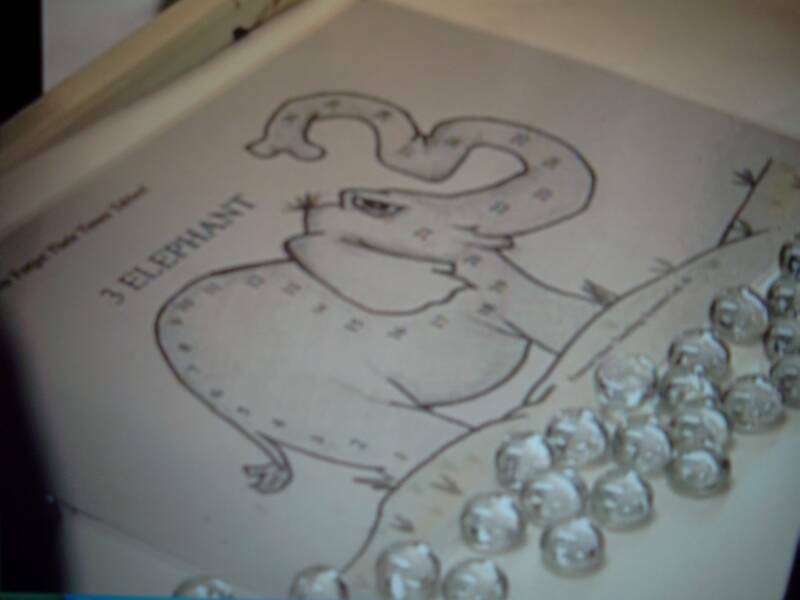 This amazing book is also filled with number patterns, dice games, interesting number-card games, worksheets and elephant charts to encourage the learning. "Frances....thought I would tell you that I finally finished going through your book today. Now, I feel I can see a picture of the whole thing. The info on decimals and converting fractions was pretty amazing. I am really impressed with your system even more than before once I went through the book. The material on the shapes, with the angles etc. on the fingers in values, progressing onwards I thought was just brilliantly clever. It would be fantastic for kids in secondary also. I was impressed by reading the first part of your book, but the rest has totally wowed me into how brilliant your system is." Steve Martin, Teacher, Brisbane, Australia. 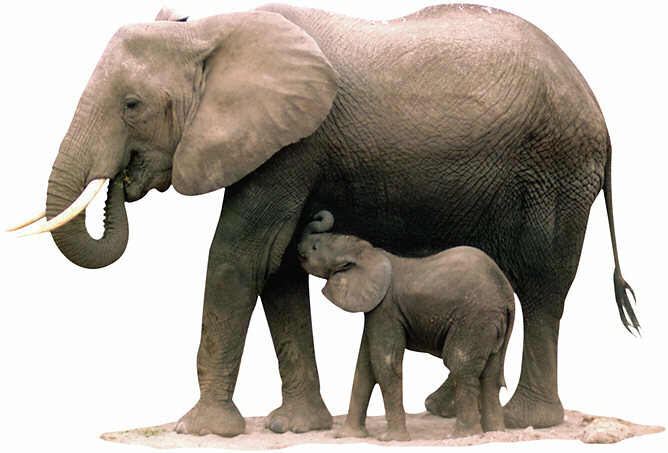 This book has been written with the help of some very special elephants. Tama, like most ‘switched on’ mothers, allows her children Sago and Tapioca, time to play in the outside world, and with the many things that surround them in their jungle home. She knows that while they are playing they are learning and sometimes in order to teach them things they really need to know, she cleverly devises games to make the learning fun. Tama is determined to use every situation that they as a family come up against to her advantage, in order to demonstrate to her children the beauty of life and of its mathematical complexities. By her discretion Sago and Tapioca don’t even know that they have been learning, they just thought it was all a game. By your interest in this book you are demonstrating a keen awareness and an appreciation of the vital importance that mathematics has on your very life now, and that of the future of your children. You are showing the same qualities as Tama, she knew as a parent that she had an enormous responsibility toward her children, a responsibility that many leave to providence or to other people. 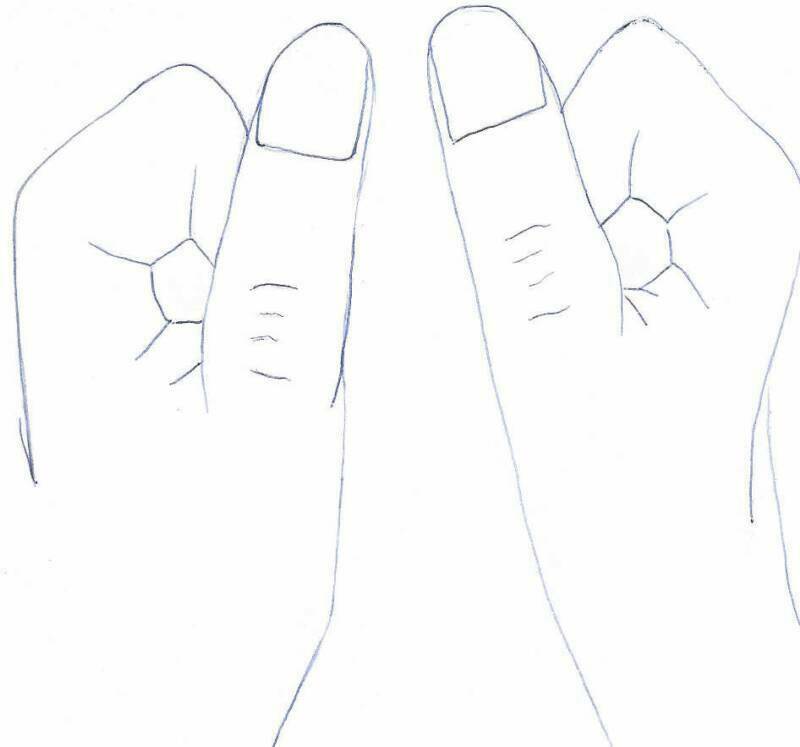 The concept of using the fingers for learning has been around for millenniums, and is also recorded for us in the Hebrew or Old Testament scriptures at Proverbs 7:3. (tie the law to your fingers and sound them down into your hearts). When a baby elephant is born, he is scooped up by his mother and made to stand on all four of his feet, from that time forward she teaches him all he must learn to survive in the jungle. One of the first things she teaches him is where to find her milk, just like us he needs nutrition or good food to help him learn and live. He discovers many different flavors and textures by putting things in his mouth and feeling them with his tongue, he soon learns if they are good to eat or not. Have you ever eaten a lump of dirt ? I’m sure every baby elephant has. The baby elephant quickly learns that eating stones gives him a sore tummy! As the baby elephant gets used to his surroundings, he has to meet and be introduced to his family and the rest of the herd. His mother teaches him who he is, and how he fits in. He is taught how to communicate with the other elephants using his voice and his body. Those big ears he has are very good for hearing commands and instructions from his mother, we need to use our ears in order to learn as well. Can you flap yours? Try it! Sometimes we need to have things repeated many times, even baby elephants get distracted by the things that are going on around them. If we really want to learn, we need first of all to know, why? A baby elephant has to learn in order for it to survive in the jungle, our world is a bit like a jungle too, and if we want to survive in our jungle, then, we need to learn our survival skills too! Mathematics are a part of our daily existence and they are also important survival skills that we and elephants both need to know. Do you ever get asked, "How much....?" "How little....?" "How big....?" "How small.....?" "How wide...?" "How many......?" "How long.....?" "How short......?" "How tall ...?" 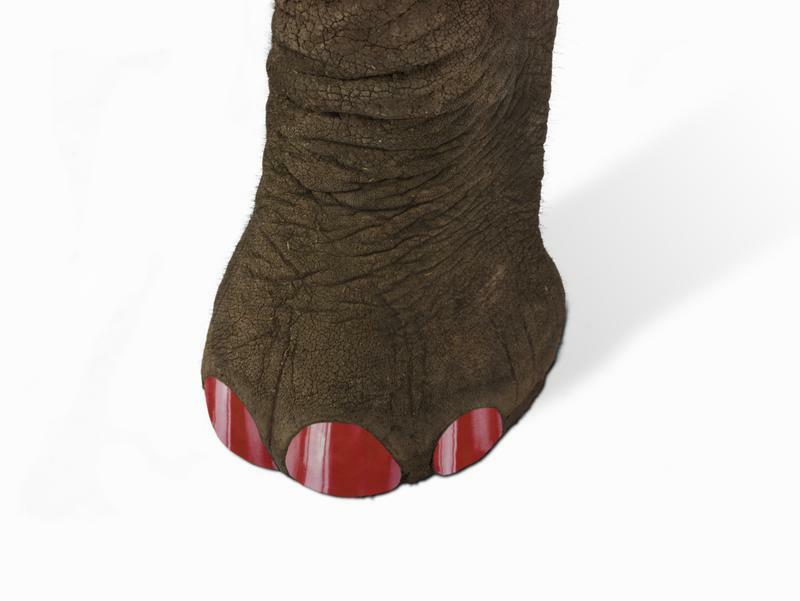 The mother elephant scoops up her baby and stands him on his feet and then when he is all dry she teaches him how to count using his shiney new toes.